Miguel Ramirez is a serial entrepreneur who co-founded mediotiempo.com, the largest sports site in Mexico and one of the most relevant Internet success stories in Latin America. The company was acquired in 2010 by Time Warner. 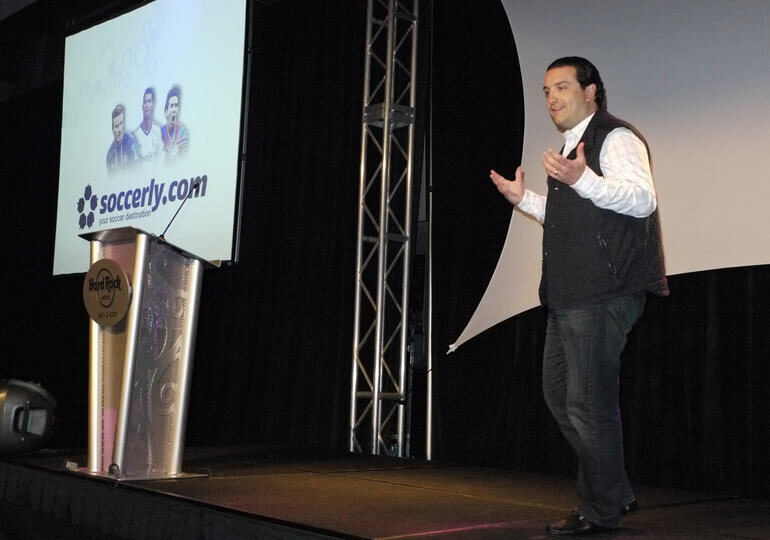 Today, Miguel is co-founder and CEO of soccerly.com, which was launched in January 2013 with the ambitious plan of becoming “the online destination for soccer fans in the U.S.” Miguel is also a partner at kiwilimon.com, a leading food/community site. Follow him @mrlombana. It is important to be humble. Always remember the day you started and where you come from; no matter how successful you become, it is important to have both feet on the ground and keep on working hard at all times. Successes and failures are just life episodes and should not change the way you act. Also, being a good listener is a must — be close to your team and think of them as family, not employees. One of the biggest mistakes I remember making is when my partners and I decided to sell our stake in a company because at that point, we did not have the necessary time to devote to it; even though we did consider several options, I guess we were not wise enough to make the best decision. At the end, it not only cost us money but also a good opportunity for the future that we regret today. We should have asked for advice from other people (mentors, family, etc.) — that might have had helped us to act in a different way, but unfortunately we didn’t. But every learning experience is valuable, and without mistakes there are no successes. I check my agenda and my “to dos” to set the best road map for the day. I like to be well-organized and do as many things as possible every day, as the following day is always loaded with new stuff and more unexpected things. It is essential to have an organized way to work in order to achieve tasks and objectives. Define your priorities and never leave for tomorrow what you could do today. Resources are always scarce, and it is always easier spending than saving. Focus only on those things that will bring you to the next level and cut unnecessary expenditures — even if they’re minimal, they could hurt you in the long run. The best of you is always there, within you, so use your brain first and then your wallet. Work only with the right partners. Take whatever time you need to be 100 percent convinced of the partners you are bringing to a venture; work only with people that add value, balance and commitment. Success is not only about money. It’s about achieving personal goals, fulfilling society’s needs, generating employment for lots of people, making users happy and seeing others using your product; when most of these “achievements” are done, you will be happy and can toast your success. Beware the ill planned innovative rollout.